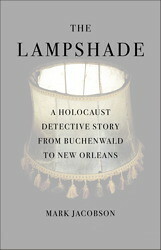 My brother-in-law's newest book, The Lampshade, got a cool review from the New York Times. Check it out, and, if you're interested, go buy the book. It's in your local bookstore now.